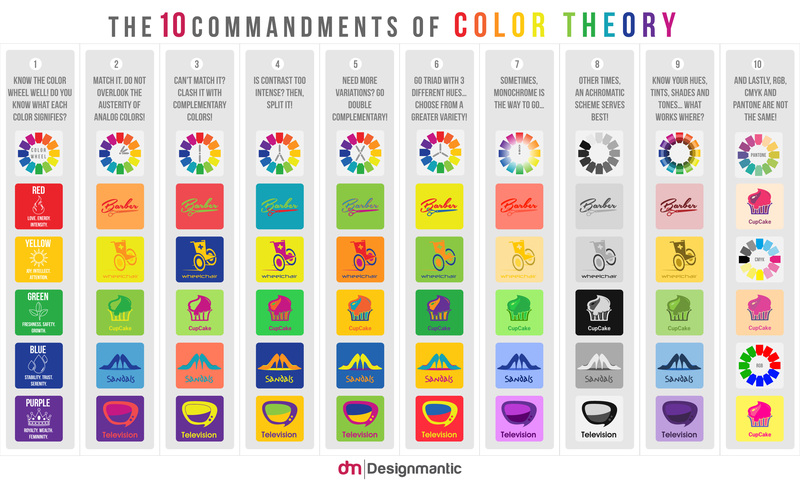 Here’s 2 really clever infographic featuring the 10 Commandments of Type and Color. 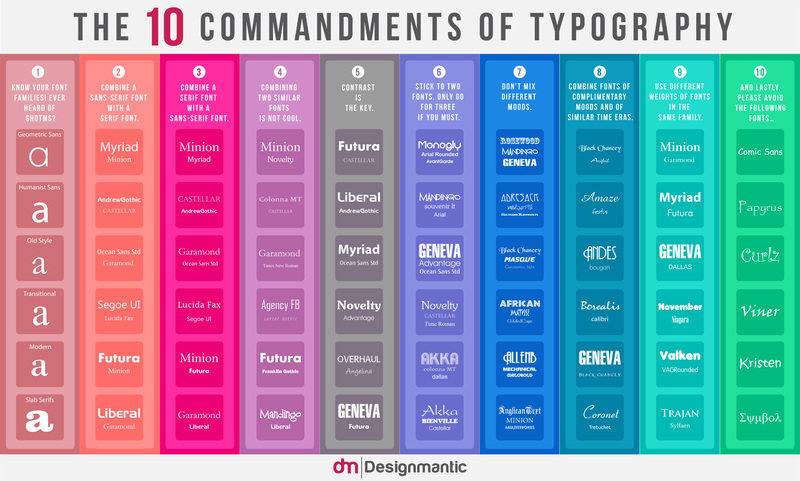 It’s always good to have a steady foundations and some basic principles for your graphic design work! While not absolute rules, these infographics created by the lovely DesignMantic are very good guidelines to ensure that your work has a sense of aesthetics and that you can express the message the clearly. You can view the inforgraphic by clicking on the image! If you love typography as much as we do – you can check out last week’s segment of Typography Thursday – where we covered this really cool series of Isometric Type by Jing Zhang. Know any cool Let us know in the comments below. You can also hit us up on our Facebook, Twitter and Google+ profiles. Lastly, our RSS Feeds is open for subscription so that you can stay up to date on the latest design trends.